Bottelsen's most popular soft tip dart is offered in a convertible. 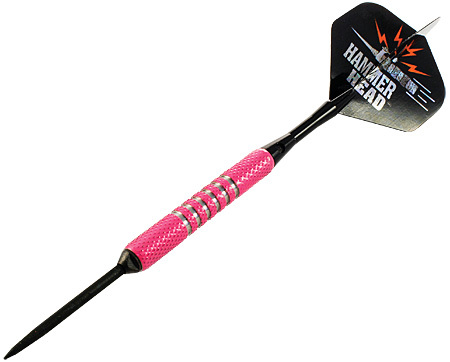 Convertible darts are compatible with both electronic soft tip dartboards and steel tip bristle dartboards. 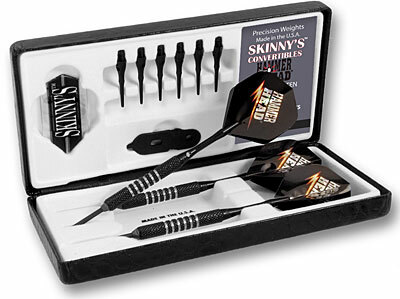 The 90% tungsten Skinnys Tuff-Koat Convertible Darts offer shooters the best of both games. You can play steel tip or soft tip while retaining the consistency of feel and control. 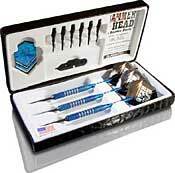 You dont have to change darts when you change games. Simply change the point and play. It couldnt be more simple. Standard HammerHead Points come installed. Stated Weight is for Soft-Tip configuration. Flights and Shafts May Vary.